This was my entry for the Reaper Fan Facebook Page Paint Your Giants Contest. This is the biggest thing I ever painted not on a canvas. The last time I entered one of these, I felt like it would have done better if the base told more of a story, so that is what I tried to achieve with this one. I wanted it to portray REVENGE! The Jarl had his left eye gouged out by a young upstart white dragon. He healed, regrouped, and hunted down the dragon to enact his revenge. The final results have now been posted. He placed 4th behind some mind-blowing work. 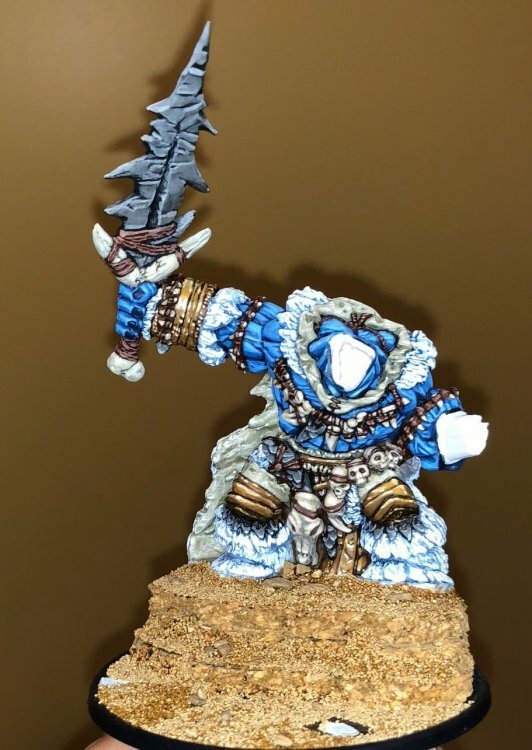 I wanted some orange on the model to play against the blue skin, for color theory. Originally, it was going to be glowing runes on the rock and skulls, but I abandoned that for the sake of time/completion. I settled with orange tones in the leather. 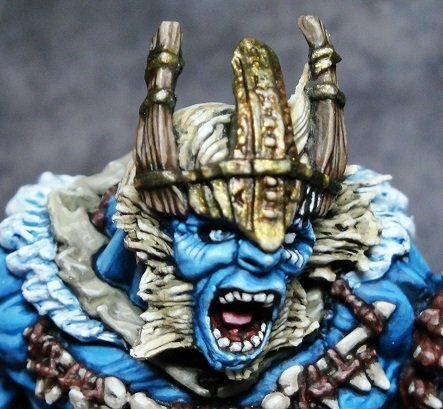 I wasn't really sure how to get the TMM of the crown to look like a gouge, or how to make his blue skin look like a scar. I'm not entirely sold on the result, but I'm sure I'll try again some day on a different model. 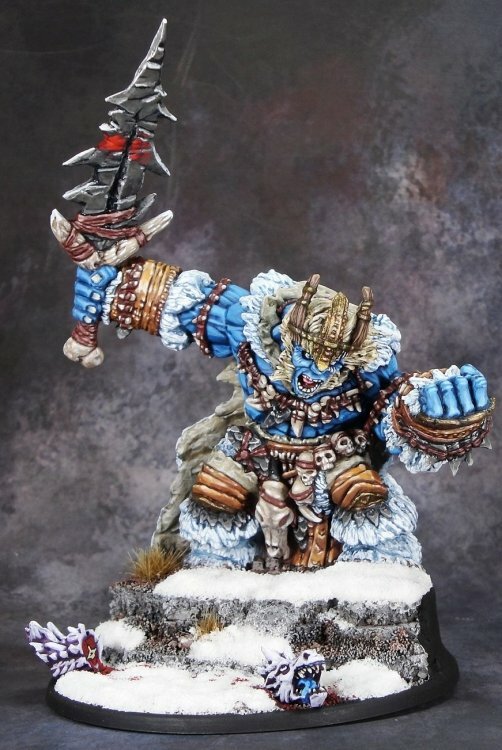 The Monster Manual suggests blue skin with white/gray/dirty blonde hair is the usual coloration. 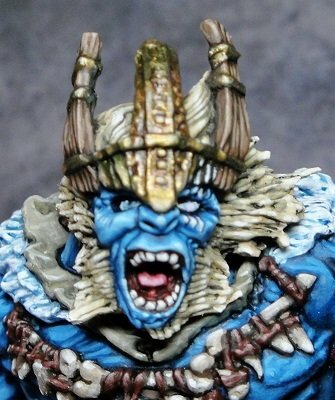 I tried to go to full white for the highlights of the face to make it the focal point. I wanted him to look like he was wearing a polar bear pelt, and that all the fur trim was also polar bear. I tried to make it look a little muddy on the bottom, and on his shoes. 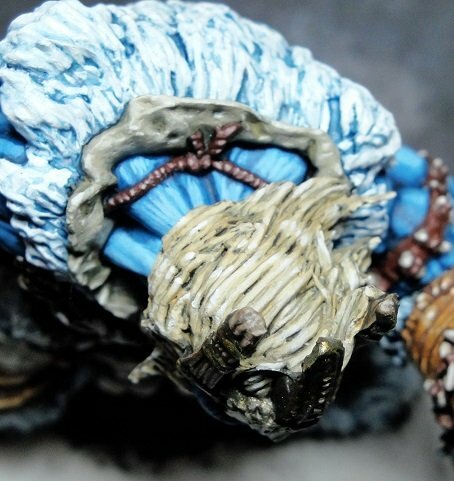 This was how I wanted to weather the inside of the bear skin, to make it look like it had that dried cracked appearance. Not sure how well it shows up in the picture. These were some WIP shots. 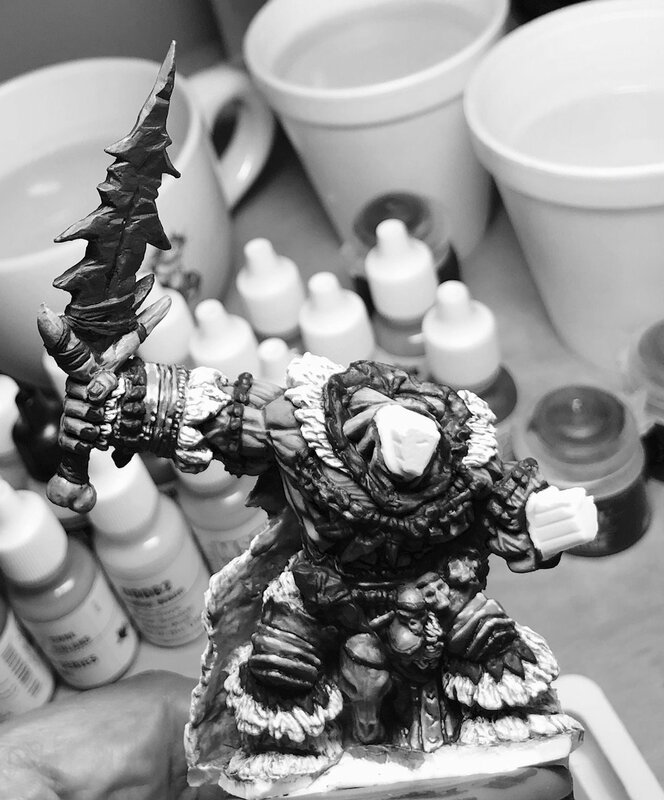 The black and white was to figure out how to highlight the sword. 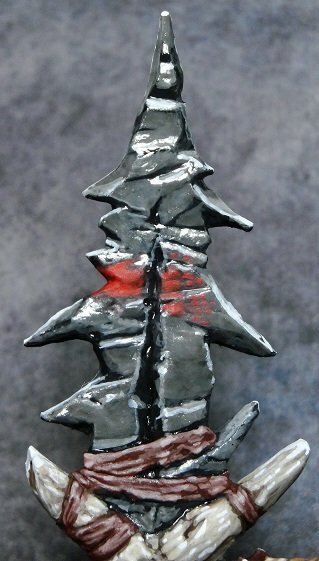 I wanted the sword and stone items to look like shiny flint. 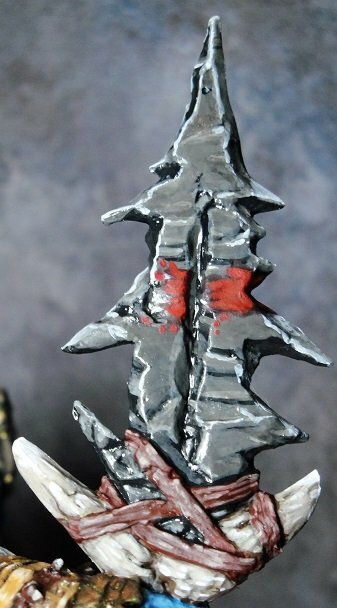 I hit the sword and most of the other stone items with high gloss varnish to help sell the effect. The front and back of the sword. 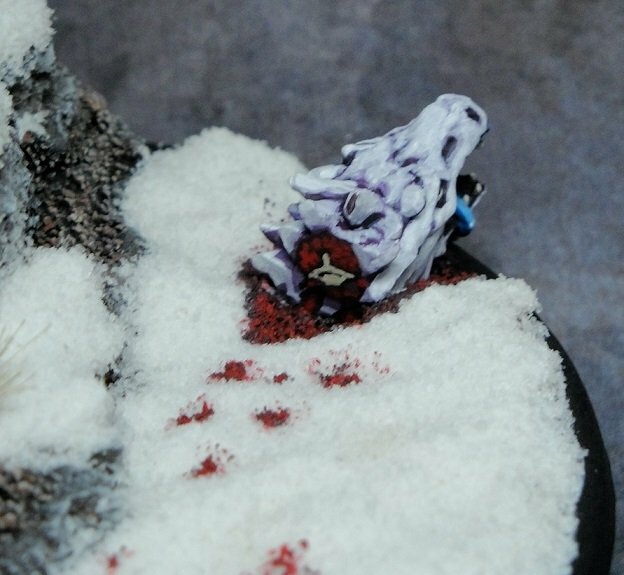 Finally, some more details of the base and the white dragon victim. 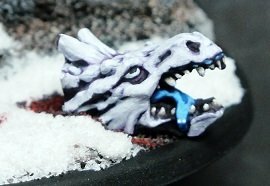 I wanted to base the dragon as a purple in the recesses, similar to the effect going on on the cover of Hoard of the Dragon Queen module. This was the BONES Temple Dragon I sacrificed. 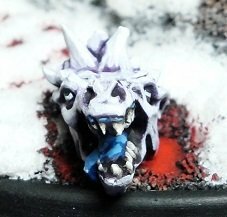 He is smaller, but his tongue sticks out perfectly to sell the dead dragon effect. And he's not as expensive to replace as Deathsleet! I pained his eyes half-rolled into his head to complete the idea. I tried to freehand some anatomy on there: vertebral body, muscle groups, esophagus, carotid arteries/jugular veins. I also tried to be accurate with the blood spray coming from both arteries, and didn't want to go too crazy with the gore. 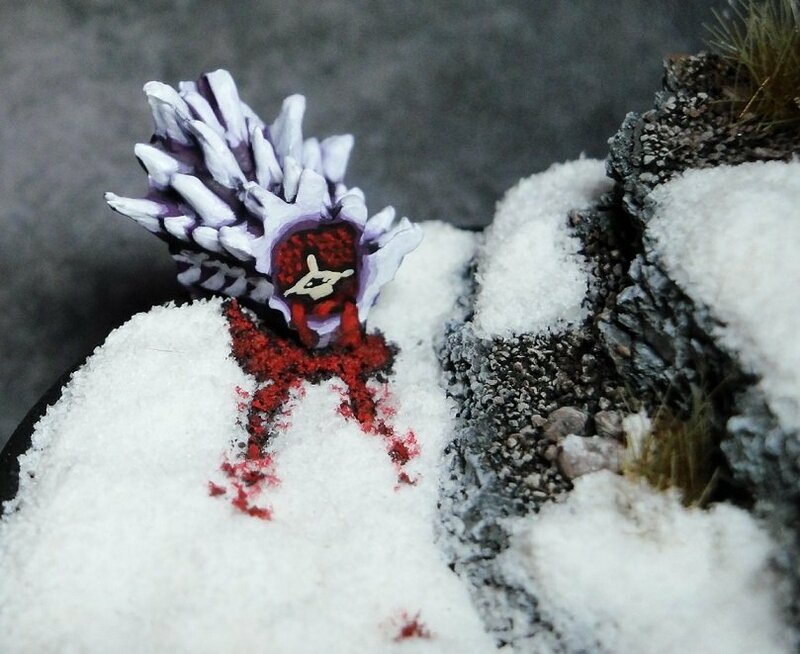 Finally, I wanted it to look like his hot blood had melted some of the snow. Overall, this was a wild ride. The early part of the contest saw him at #2. Then he gave up some ground and sat at #3 for a long time. Then another Frost Giant (Queen) made a great surge at the end to unseat me out of #3 into 4th place. 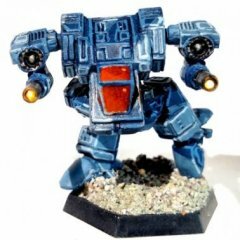 To be honest, there were so many awesome paint jobs, I'm just humbled and honored to be in the top 20. Wow! Those eyes are mesmerizing. They are bigger, so easier to get some real iris detail in there. Beautiful skin tones - great story - lots of details to love on this. Very beautiful brush work, congrats. That's an amazing vignette. I love the addition of the slain dragon, it tells a story now! Fantastic work, and congrats on doing so well in the contest. Looks amazing! 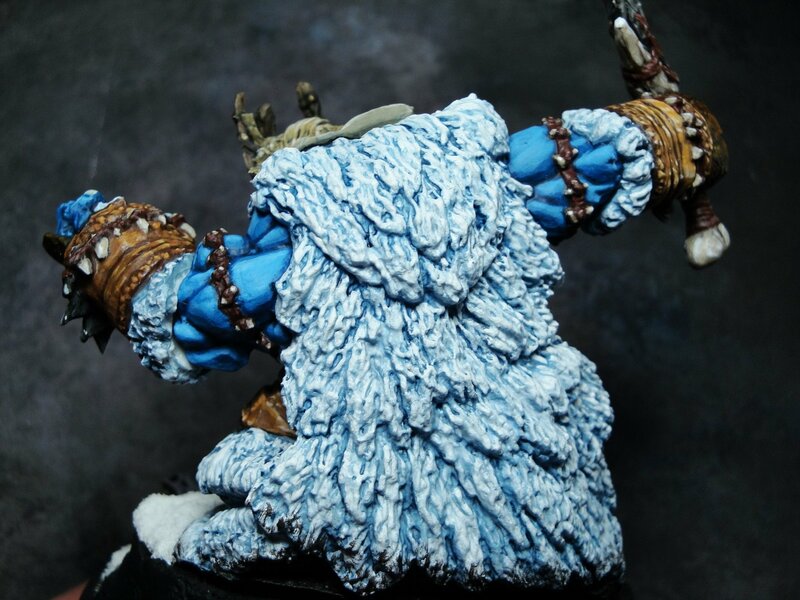 The skin is fantastic! 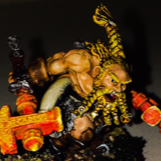 I painted Jarl awhile ago and he was a lot of fun to paint. OH YEAH! This was the Bad Boy that was stellar. The level of detail and the effect on the sword demonstrates your amazing ability. The face is what won me: the eyes are lifelike and makes the entire piece come alive. Beautiful color choice and color compliments. This work brought aesthetic and ability together. Your humility in accepting the lessons this piece brought you shows. Those eyes though... I love the highlights all over, and you played it great drawing the eyes to the face. Lots of great stuff to say about this guy. 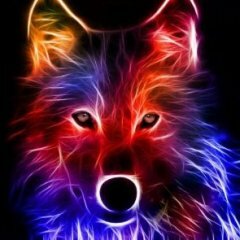 Awesome work.